Does playing sports as a child help you become successful in life? All throughout my childhood, I played sports. I played baseball, football, and basketball, which meant that I was busy with sports year round. No matter which sport it was, parents and coaches always said the same thing. I have heard countless amounts of times that practicing and playing sports not only helps kids on the field, but also off the field in life. 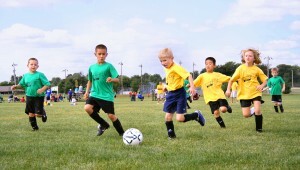 I am interested in finding out if playing sports as a child is actually associated with success in the child’s future. And if proven that there is strong correlation, I am interested in finding out why this is true. 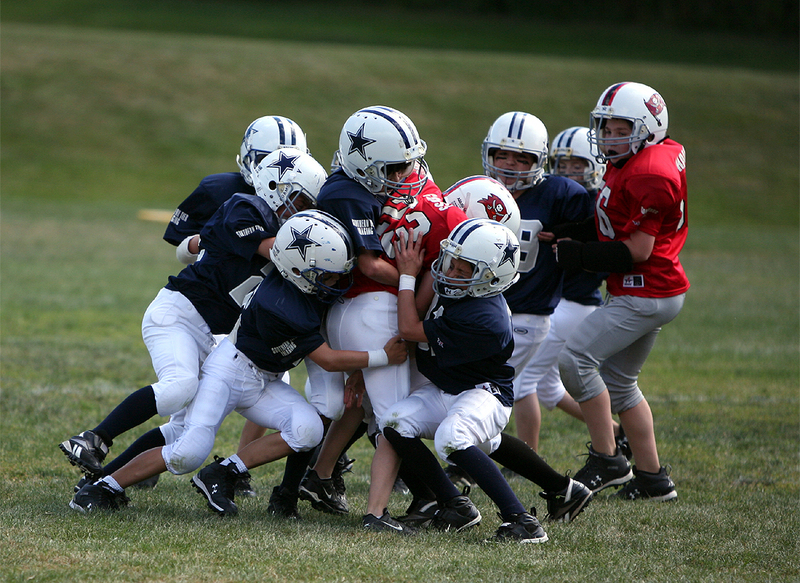 The obvious and most stated reason why playing sports helps you in life is because of leadership and teamwork. As cliche and overused as this reasoning is, it is incredibly true. As a member of a team, you are forced to work with the people around you. Playing on a team gives a child the opportunity to become a leader, and good leadership is a very valuable characteristic in life. The majority of jobs involve working with other people. If a child develops good teamwork and leadership skills early on in life, he/she will be better off later in life when it matters most. Another reason why playing sports early in life helps children become successful is because it teaches them how to live a healthy lifestyle. Although there are obvious exceptions, good health correlates strongly with success in jobs. Reasons for this are because if you are in good shape, you feel good about yourself, and confidence is crucial. Those who are confident in themselves perform much great than those who are not. It is proven that physical exercise puts people in better moods, and allows them to get more sleep. Getting a good amount of sleep and being in a good mood will help you in your workplace. Playing sports as a child puts them on the right track. If they are active and in good shape early in in life, they are more likely to continue this. According to livestrong.com, the obesity rate for children in the United States is 30%. If a child is overweight/obese, they are much more likely to continue this into adulthood. A third reason why children involved in sports have more success in life is because sports teach them how to manage their time. Time management is key, and that alone can be the difference between a successful and unsuccessful person. A person could be brilliant, but if they do not know how to manage their time, intelligence often does not matter. Children have a lot less responsibilities than teenagers and adults (obviously), so they have less to do. 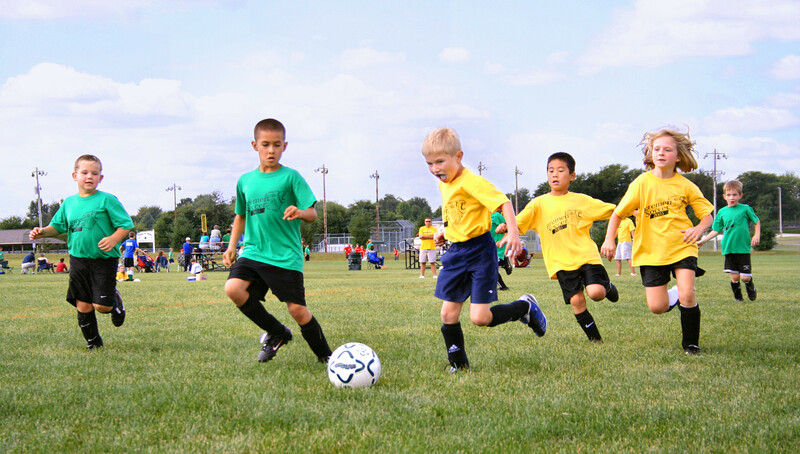 Children involved in sports usually have three main responsibilities; school, sports, and family (chores). If a child has good time management, they ill know when they should study, when they should practice sports, and when they should do chores. Managing your time as a child is quite different than managing your time as an adult, but if a child is able to manage their time with few responsibilities, they are better preparing themselves for the future when they have more to do. In 2014, Rene Piche concluded that children engaged in athletic activity are better off in the classroom, having better grades and standardized tests than children who do not play sports. This shows that not only does playing sports positively affect children’s future success, but also current success in the classroom. In 2014, 400 corporate executives were interviewed, and it was discovered that 94% of them played a sport at one point. 61% of them said that playing the sport had a positive impact on their success. A survey performed by the National Household Survey of Drug Abuse, children involved in sports are far less likely to smoke cigarettes and engage in other drugs than children who do not play sports. Vice presidents of 75 fortune 500 companies were surveyed, and it was found that 95% of them were involved in a high school sport. Now, I know that for many of these stats, you could testify that correlation does not equal causation, which is obviously true. Just because 95% of vice presidents played high school sports, it doesn’t mean that this is why they are successful. I believe, though, that they are definitely related. While playing sports does not cause success, it can definitely help someone in becoming successful. After doing research, I think it is very obvious that playing sports as a child has a strong, positive impact on success both as a child and as an adult. There are so many different statistics and surveys that back this opinion up. Playing sports teaches children so many valuable skills that help them far beyond the playing field. This entry was posted in Uncategorized on October 20, 2016 by Matthew Edward Simco. I completely agree with your hypothesis because I have been playing sports my whole life and I cannot imagine my life without them. From playing sports I not only gained a love and respect for each sport, but also I learned many life lessons. Some life lessons include how to get alone with others in tough situations, how to manage my time, how to make friends and how to be competitive. Here is an article about sports and how they help you. Awesome topic, I have played sports all my life and could honestly admit that I wouldn’t be the man I am today without sports. Growing up I was very into baseball playing hours and hours every day, at an early age working as hard as I did when nobody else was gave me the work ethic that I still have today. You also mentioned leadership and teamwork which are qualities that come with being in a competitive team setting. All of the facts that you present in this blog post seem to point directly towards the suggestion that playing sports as a child have a direct correlation with leading to a successful life. There is always a chance that it could just be a hoax, but whether you believe it or not its common sense. Think about it, a kid who sits around with zero responsibilities plays video games and watches television just does not understand what its like to compete and lead a team and those qualities like I said will stick with you he rest of your life. Here is a small article that just kind of extends your blog post on what playing sports at a young age do for us. Wow I could not agree with you more on this topic! One thing I would like to add is that not only does it help develop teamwork but it helps build friendships. Throughout my life, I have built countless friendships with people by playing sports. I am a natural introvert so I find it difficult to build friendships with people, but sports enable me to connect with someone without having to talk to them. Every day on the basketball court in my home town I have met knew people by playing against them. I really do believe that playing sports as a child can help you become successful in life. However, with that being said sports are not always necessary for someone to be successful. There are plenty of success people out there who have never swung a bat or thrown a ball in their entire lives. I found this article from Fortune saying that you should play sports if you want to be successful. In my opinion, don’t play sports just because someone says that statistically you will be more successful. Statistics also say that going to college makes you more successful. Not everybody has to fall in line with those statistics. Richard Branson didn’t go to college, he’s now a multi-billionaire. What I am trying to say is that on average sports probably do make you more successful in life, but there will be exceptions to that statistic. Overall I thought you constructed a very well thought-out blog, though I think you could have tied it into this class a bit more. Thanks for your comment. I completely understand what you mean when you say that because so many people play sports, there are a large amount bound to be successful. With that being said, the numbers I have put into my article are still significantly higher than the national averages. Livestrong.com (http://www.livestrong.com/article/373329-how-many-youth-participate-in-sports-in-the-u-s/) shows that 69% of girls play sports as a child, and 75% of boys play sports as a child. In my article, I showed a fact saying that 95% of fortune 500 vice presidents played sports as children. 95% is significantly higher than 69% and 75%. Although this could be due to random chance, it seems to significant to have been.